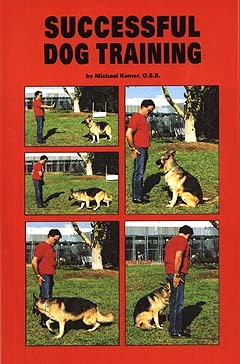 Author and Hollywood Dog Trainer Michael Kamer is among the most qualified and successful professionals in the field of dog training today, having trained house pets and canine actors for Barbara Streisand, Frank Sinatra, Carol Burnett, Arnold Schwarzenegger, Elizabeth Taylor, Sylvestor Stallone, and countless others. In Successful Dog Training, Mr. Kamer presents his expert techniques and theories with preciseness and clarity, so that even the first time dog owner can profit from his instruction. The Author, Michael Kamer, president of Kamer Canine College in California, has trained stunt dogs for movies and house dogs for movie stars. His training methods are basic yet unique and ambitious, always based on praising the dog for each success along the way. Every method in this book is presented step by step, with color photographs throughout to illustrate the described method. In addition to the essential training commands, Mr. Kamer offers clever proven techniques for housetraining, problem solving, dealing with stubborn students, and much more. Whether you are a long-time obedience trainer or a new dog owner, Successful Dog Training will prove an invaluable tool in developing and improving your own training techniques. or send Kamer Canine College email using the Request for Information. For more information, please also see the video "Training Your Best Friend" that gives step by step proven training techniques that are invaluable tools in acquiring, training and caring for your dog.